Accessorize is, without a doubt, one of my favourite stores. I love their jewellery, bags, scarves, and cute little knick-knacks, not to mention their perfume. 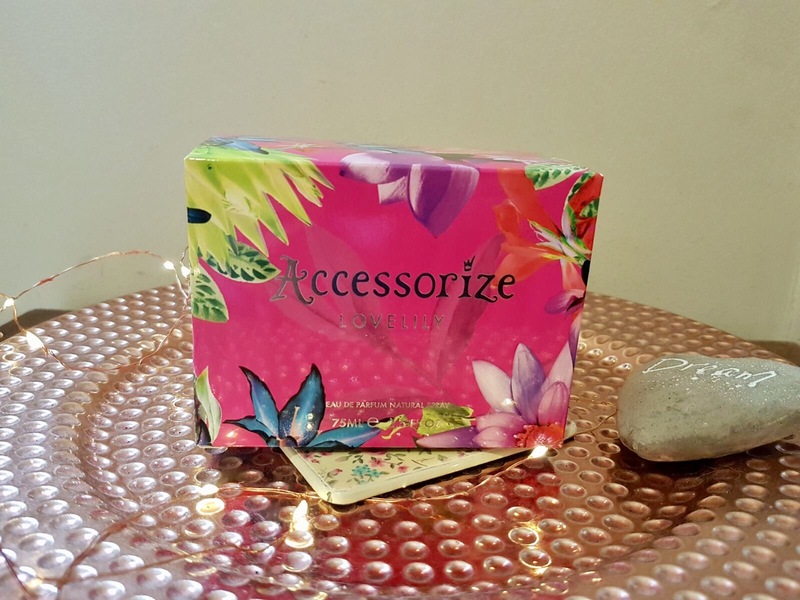 I must admit that I had never purchased any of the Accessorize perfumes before, but when an email landed in my inbox asking if I would like to sample a couple of Accessorize perfumes, I jumped at the chance. One of these perfumes was Accessorize Lovelily, the other was Monsoon Rose Gold, which I will discuss in another post. I have never seen perfume packaging that is as BEAUTIFUL as the packaging for Lovelily; it’s just so bright, colourful and eye-catching. I love the hot pink coloured box complete with a ‘rainforest-inspired’ floral pattern across it, but I love the hexagonal perfume bottle, complete with a fabric pink lily encased in the stopper. As someone who loves pink, I think that the pink theme that runs throughout the bottle and box works well. What are my thoughts on the perfume itself? 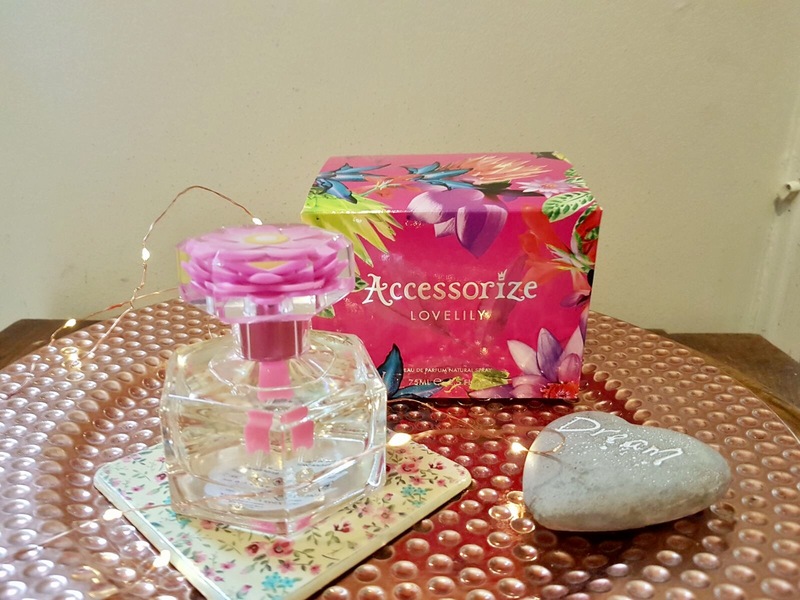 Launched in November 2016, Accessorize Lovely Perfume has a base of musk and vanilla, a heart of lily of the valley and jasmine, and subtle notes of raspberry, bergamot and orange, and is described as being ‘sweet and vibrant’. When first spritzing myself in the cool mist of this perfume, I didn’t quite know what to expect. The first thought I had was how sweet the perfume was, then as it began to mellow, my next thought was how floral and light it was. Personally, I love sweet, floral scents, so this perfume is ideal for me. It’s fruity, refreshing, and best of all, it can be worn for around six hours without needing to be topped up. 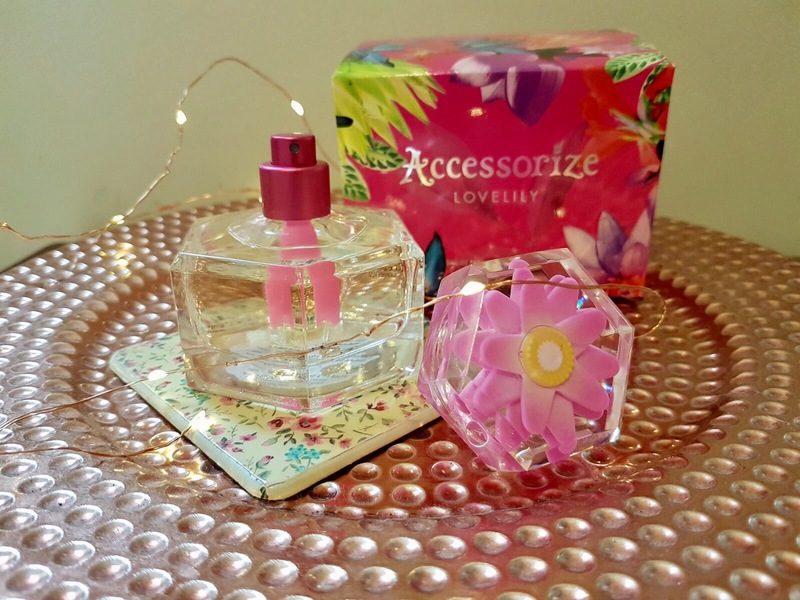 Priced at £19 for 75ml, Lovelily by Accessorize won’t break the bank, especially as a little of this perfume goes a long way. The sweet, fruity, floral scent of this perfume makes it an ideal scent for spring and summer wear. It’s one of those perfumes that I personally, could wear day or night, which makes me love it even more.